I was thrilled when I heard that Dr. J. D. Greear was going to be nominated for SBC President two years ago in St. Louis, MO. By now, most Southern Baptists know the story of Greear’s willingness to withdraw his name from nomination for the sake of unity in the SBC. I’m grateful that J. D. has announced his intention to be nominated again for the office of SBC President at our convention in Dallas, TX, this year. I think it would be wonderful if J. D. was allowed to run unopposed for SBC President this year, building on that beautiful picture of unity modeled for us two years ago. It appears that will not be the case, and I find that sad. Still, J. D.’s candidacy is a great opportunity to move our convention ahead in unity. Events of recent days in our convention speak to the need to expand the circle of leadership. Greater still, these events challenge us to do more than talk about ethnic and gender issues in our convention and churches—they challenge us to take action. He is passionate about God. In a world where many young, successful pastors are passionate about themselves and their brand, J. D. is passionate about our Triune God and his glory. He has ordered his life, both personally and professionally, around his belief that “the chief end of man is to glorify God and to enjoy Him forever.” As a result, both his character and his calling reflect his heart’s pursuit of God. He is passionate about the Bible. J. D. is a product of the Southern Baptist resurgence. He came to Southeastern Seminary after its transition, and he had the privilege to study under conservative seminary professors. While there, he was taught the value of good exegesis and expository preaching. Today, while many young pastors exchange biblical exposition for the shallow, pragmatic advice of a life coach, J. D. mines God’s word weekly to provide his people with a solid diet of good theology and its larger implications for their lives, the church, and the broader kingdom of God. He is passionate about the gospel. The concept of a “gospel-centered” life isn’t a cliché for J. D.—it’s who he is. The gospel is at the heart of his life, his preaching, and the vision and mission of The Summit Church. J. D. is a passionate about personal evangelism, and he leads his people to be the same. As a result, people come to know Christ weekly through the ministry of The Summit Church and are baptized into the life of the church. But that’s not where it ends. J. D. understands that people must understand the impact of the gospel on every area of their lives if they would fulfill God’s kingdom purpose. As a result, he is a champion for personal discipleship as the end goal of the Great Commission. He is passionate about church planting. God has blessed and enabled J. D. to grow a great church in the Raleigh/Durham area, but he’s not interested in growing his own kingdom. That evidence can be found in his commitment to church-planting throughout North America (and the world). Through its SBC-affiliated network, The Summit Church is sending out church planting teams to urban centers in desperate need of the gospel. There is nothing a church can do that’s more missional than plant another church—J. D. is modeling this for Southern Baptists today. He is passionate about the local church. J. D.’s willingness to serve as President of the Southern Baptist Convention at this strategic time is evidence of his commitment to our convention. While young pastors are disengaging from SBC participation at an alarming rate, J. D. remains committed to our Southern Baptist ideals: he affirms the BFM 2000, the mandate of the great commission, and the value of the cooperative program as a means of funding our shared missionary endeavors. J. D. understands, however, that the Great Commission was given to the church, not a denomination, and that the only hope for a strong denomination is to fill it with strong “gospel-centered” churches. As a result, his goal is to see our convention filled with healthy churches who reproduce themselves for the glory of God. He is passionate about diversity in the local church.For years, J. D. Greear has led The Summit Church to obey the biblical mandate to make disciples of the nations. This mandate is not limited to sending people and resources overseas, although he does both. The Summit Church is intentional about growing multi-ethnic congregations throughout their campuses and church plants. This emphasis isn’t accomplished solely through church membership, however. Rather, J. D. models his biblical understanding of gospel-driven diversity by hiring pastors and staff from different ethnic backgrounds. Similarly, as a complementarian, he recognizes and values the gifting and calling of women within the context of local church leadership, and has many gifted women who serve on his team. J. D. continues to model for his church and our convention the proper way to embrace and encourage diversity in the local church. I’ve had the privilege to know J. D. Greear since our days together at Southeastern Seminary. He was younger than I, of course, but it didn’t take me long to recognize that he was a man of singular giftedness. Since then, it’s been my privilege to serve in the Carolinas with him and to observe as God has used him to transition and grow The Summit Church into one of the largest and strongest churches in the SBC. For all of these reasons and more, I support J. D. Greear for SBC president—and you should too! Dr. Bill Curtis is the founding pastor of Cornerstone Baptist Church, in Darlington, SC, co-founder of The Pillar Network for Church Planting, former Trustee Board Chairman of the North American Mission Board, and the author of Engaging Exposition, 30 Days to James, Exalting Christ in Micah, and Gypsy Smith: The Forgotten Evangelist. 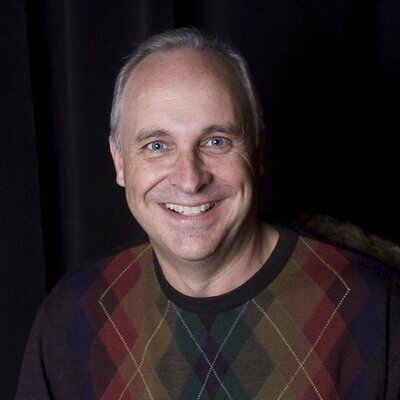 Follow him on Twitter @billcurtissc.